Additional Info: Kettle, Electric Oven, Hob and Grill, Collection of DVDs, Patio Furniture including table and chairs with umbrella plus sun loungers - BBQ available for use including gas - Selection of Games to play - All bed linen provided. £100 low season deposit at time of booking to £250 in high season (Non refundable if booking cancelled or damages to caravan or contents) - daily membership fees to the club and entertainment are not included but can be provided at extra cost should you require - Full payment required 14 days before holiday start date. There are excellent facilities available in the the Club and Entertainment centre including indoor and outdoor pools - loads of things to do with the kids or if you prefer just relax on our decking in the sun loungers provided or sit on the cliff edge or the caravan patio with a nice bottle of wine and watch the world go by. 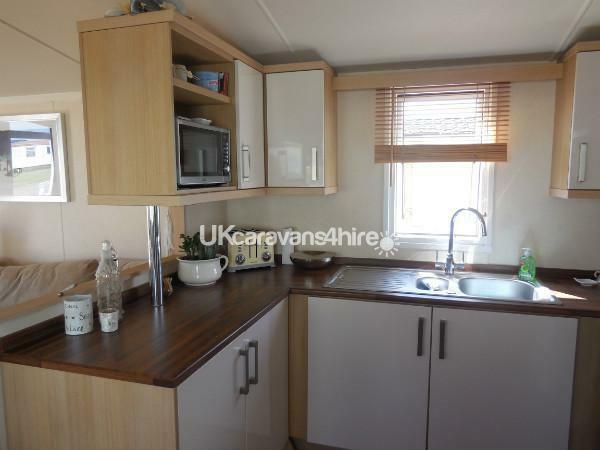 Our static caravan for rent is as new with everything you need to make your holiday a memorable one be there just the two of you or with the family and children. 32 inch Flat Screen TV - We have provided DVDs for your entertainment or bring your own Another TV is provided in the main bedroom. Excellent cooking facilities in the caravan or make use of the BBQ and Gas provided - in the site centre there is a restaurant and a takeaway along with entertainment should you require it - there are many excellent restaurants and pubs in the surrounding area - the New Forest is a matter of minutes away as are the towns of Bournemouth, Christchurch and Lymington - with direct access from the caravan to the beach you have all the ingredients for a truly memorable holiday. Additional Info: Fitness Centre, Childrens Splash Pool, Childrens Club, Basketball/mini football pitch, Kids adventure playground, Nature Trail, Indoor Bowling, Indoor Soft Play, Amusement Arcade and Pool Table, Sauna and Steam Room, WiFi Internet with Sky TV in club, Sammy and Tommys Children Club, Entertainment Club. Cash Machine - Public Telephone. Thank you Nicola - We are glad you had a lovely time and thank you for your comments we look forward to welcoming you again ! 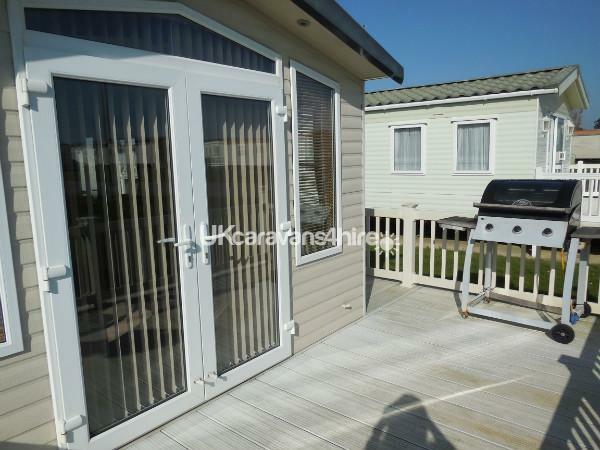 My family and I had a lovely stay at this caravan, everything we needed was available, I had taken things that I hadn't had in previous stays in private caravans in the kitchen but i didn't need to, Debbie and Malcolm had all bases covered ! Enjoy the stunning views from the verandah whilst eating breakfast , would definitely stay again. 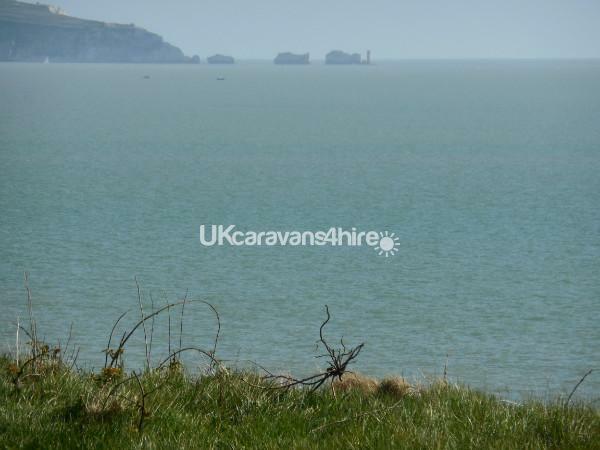 Lovely Caravan in superb setting. Owners met us on arrival and explained everythingto us..Caravan was very spacious and very well appointed.Would certainly like o stay there again. Booking was very a very easy and pleasant experience. 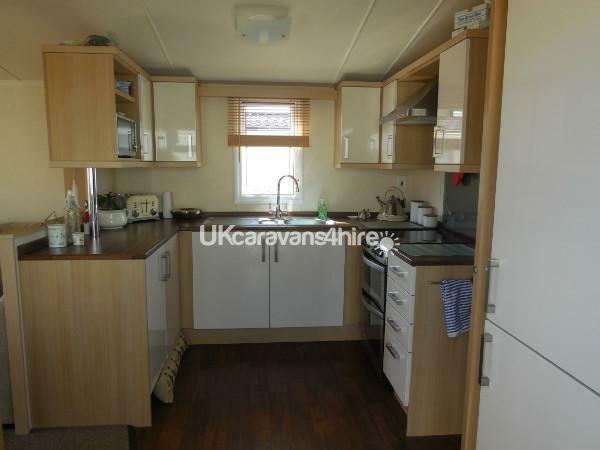 Lovely caravan in nice location, well looked after and clean. Friendly owners who handed over keys and explained everything. Lots of dvds provided plus linen, tea and hand towels. 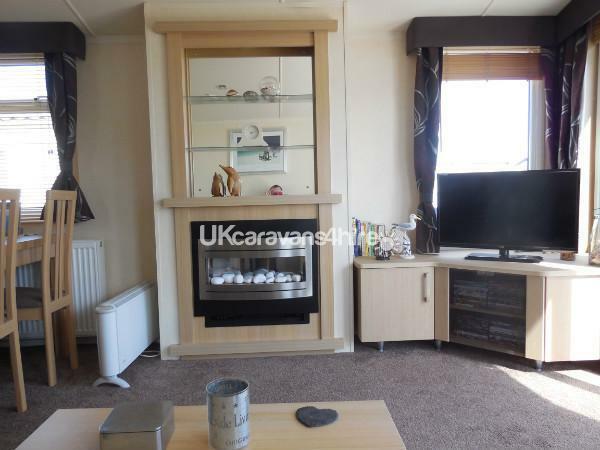 Although very nice this caravan is not really suitable for 6 people as one large wardrobe was padlocked and the other contained household appliances so our own storage was very difficult. Also only 4 dining chairs provided. Beach not easily accessible for very young or elderly. We had a wonderful holiday in a great location. 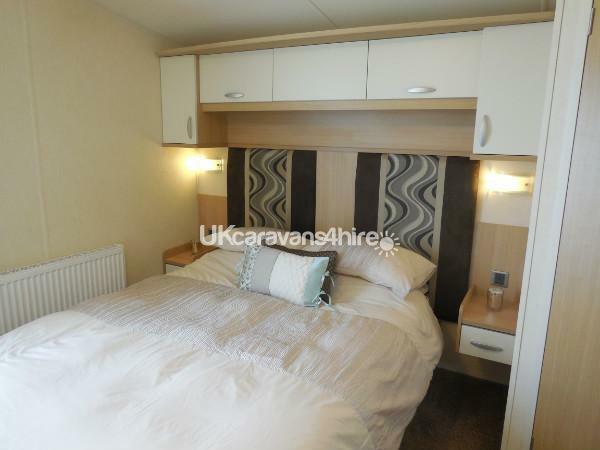 The caravan was modern, light and bright, clean and well equipped with a good size main bedroom and lounge, we never wanted for anything. The owners, kindly provided linen, tea towels, hand towels as well as welcoming you personally. Such a nice touch. 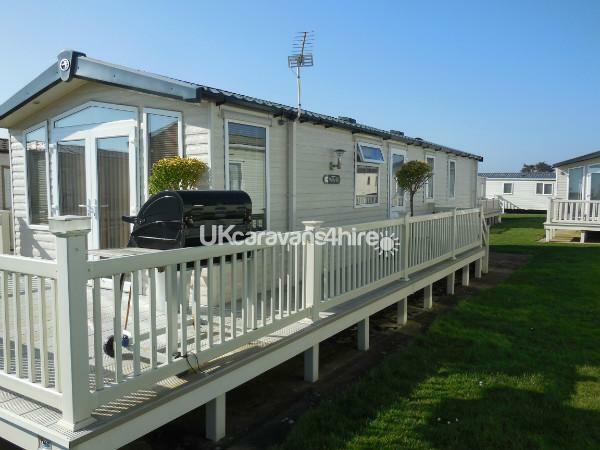 We would recommend this caravan highly and we will certainly look to return in the not too distant future! 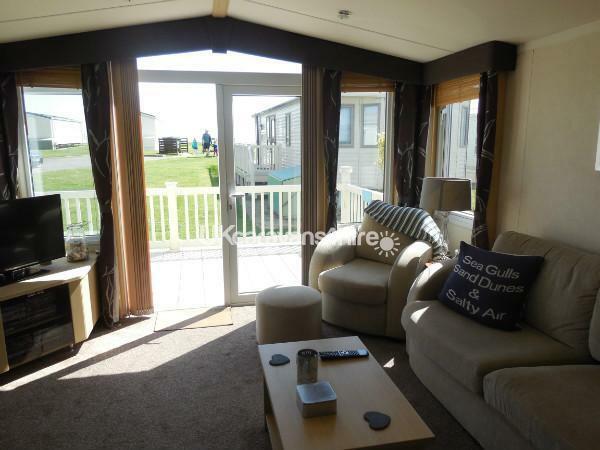 Fab caravan with super facilities everything we need both for ourselves and our teenage children. 100% clean and tidy. Definately going back next year. 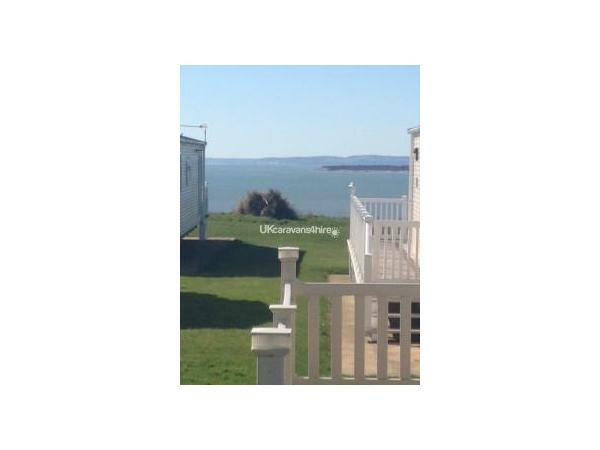 We are just back from a wonderful weekend at this caravan, it was so clean, homely and well equipped. 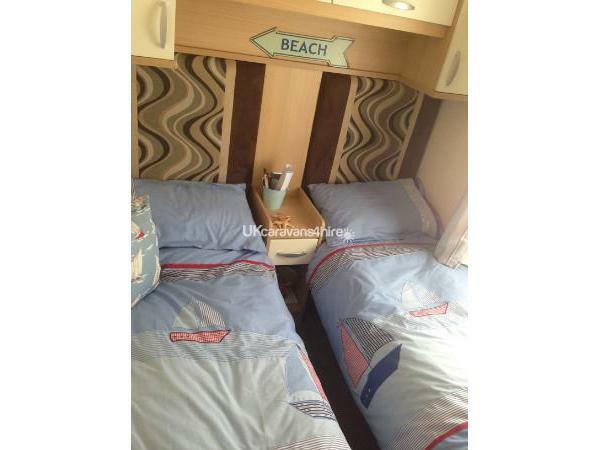 We had a great time, the owners personally met us and gave us a quick overview of the caravan. 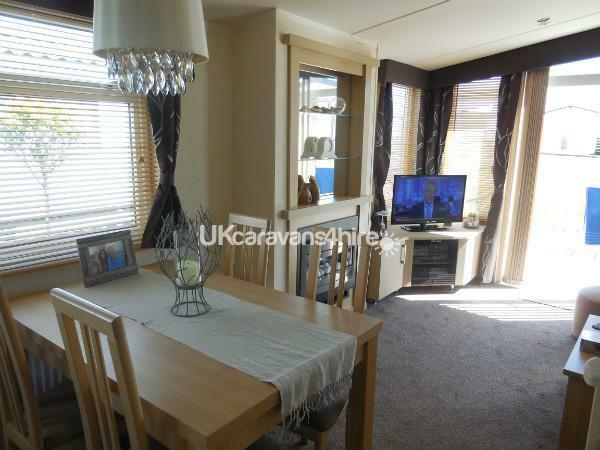 The caravan was immaculately presented and all of the furnishings and fittings were to a high standard, it is situated on a nice plot with good views and we loved having breakfast on the veranda. 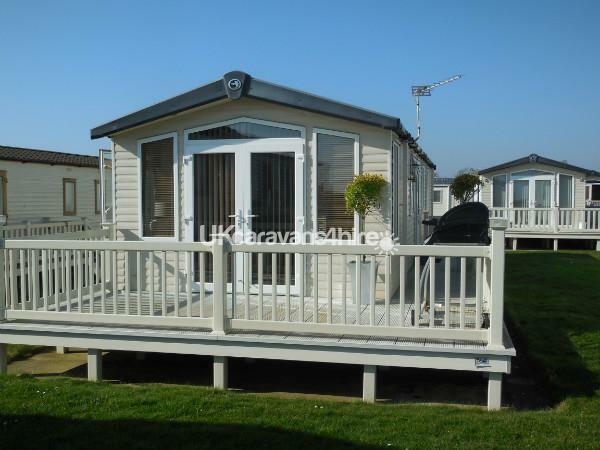 The site itself is well kept, and has a variety of caravans, chalets and premium lodges. Club house was nice (and we loved that the arcades were hidden) and therefore felt less commercialised. The beach is a short walk away. All in all a very enjoyable stay and would highly recommend.